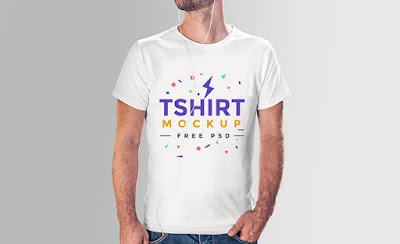 Friends, here’s a realistic T-shirt mockup PSD to help you showcase your custom tshirt artwork with ease. Using the smart-object layer, you can drag and drop your own design. You can also change the shirt color and backgrounds. I have included a separate color fill layer to add color to your shirt and also included 4 different backgrounds including two indoor and two outdoor backgrounds to suit your need.